Carving a path through forest and meadow is what trail clearing is all about. This past week a section along the Battle River crews were challenged with more than usual down trees. 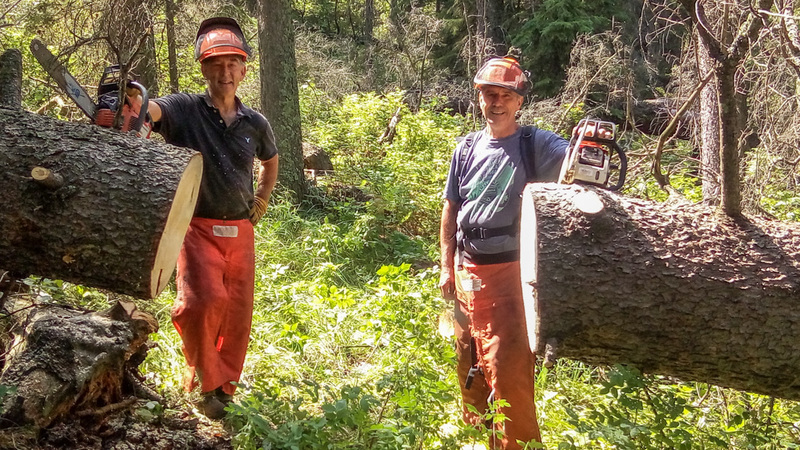 The picture below shows an ancient tree estimated to be over 100 years old that Brad and Gary cut through. There are more pictures on Flickr.